Every object and surface in our environment has a whisper; subtle tremors and vibrations that are usually undetectable to the human ear, produced by the activity and movement of daily life. What if these sounds were audible? How would that change our aural awareness, perception of space and attitude towards objects? Would it be possible to ‘compose’ our own soundtrack using our walls and objects as a new form of instruments? Madsounds is a proposal for a different appreciation of our environment, space and objects by making it possible to identify, combine and manipulate these sounds. 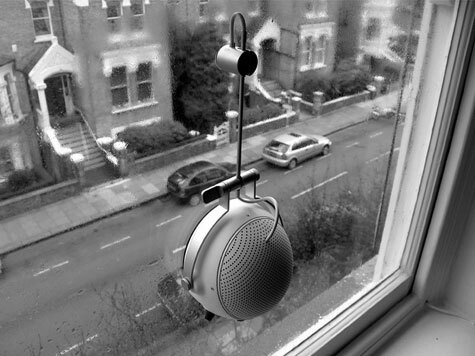 The Otto may look like one of those suction cup gadgets that turns any surface into a sound generating speaker, but it’s actually more like a stethoscope than a speaker. If you latch it onto a window, a wall or a glass of ice water, you can hear “subtle tremors and vibrations. 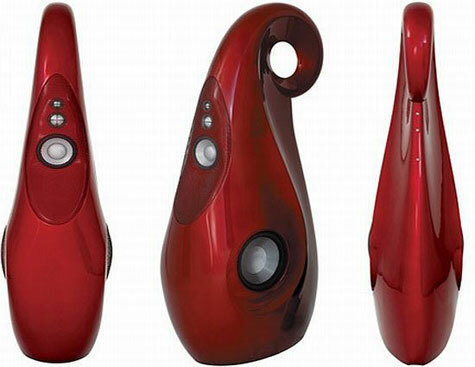 Loiminchay, a company best known for their fine pens, has now expanded into the world of speakers with Loiminchay Audio. The speakers are made from shaped solid layers of Birch MultiPly bored out and finished inside and out with sixteen coats of lacquer. 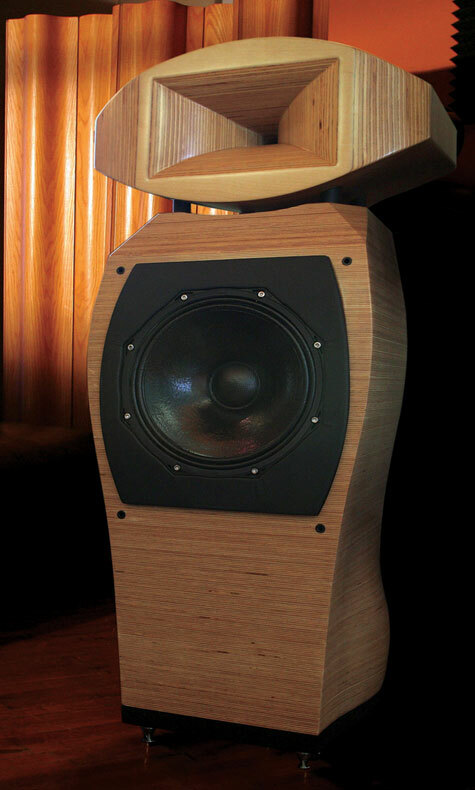 The Loiminchay speakers are designed in New York by Loiminchay’s owner Patrick Chu, and crafted in China. They will show three models named after artists at the upcoming CES 2008. 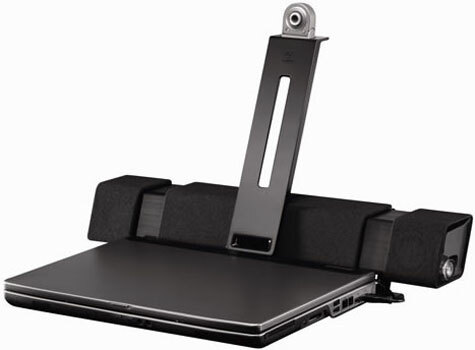 The Degas is a stand-mounted monitor, shown at right, that promises excellent bass down to 35Hz in moderate- to large-sized listening rooms of about 50 to 500 square feet. It has a 6.5-inch ceramic midrange driver and a sparkling 1″ diamond tweeter. The Degas with Diamond Tweeter is $30,000 in clear, and $32,500 in piano lacquer finish. Vivid Audio’s new $54,000 Giya G1 super speaker will be, without a doubt, one of the most talked about speakers this coming year. 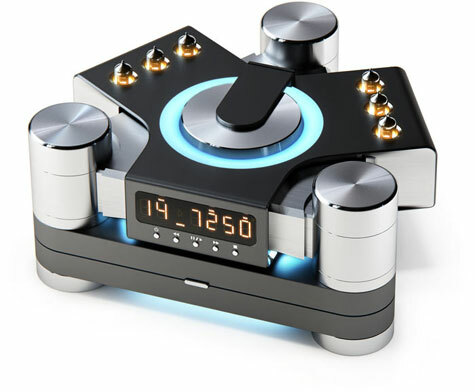 With its wild design and automotive paint finishes, the Vivid Giya isn’t for stuffy audiophiles but serious hi-fi fans who have a passion for sound, style and the good life. Kanye, we know you read SonicFlare. Time to crack open the piggy bank. The new Vivid Giya will descent upon the masses at the upcoming CES in January. 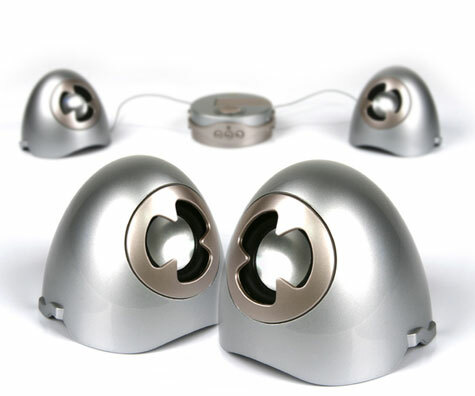 The Giya, as Vivid’s top of the line speaker, takes their patented technologies to the max. From the custom drivers to the supercar-derived cabinet construction, the Giya builds off designer Laurence Dickie’s work at B&W creating the famed Nautilus series of super speakers. Laurence Dickie is not unlike Carol Shelby and his new hot rod is sure to get people all fired up. Logitech today announced the Logitech® AudioHub Notebook Speaker System with Integrated USB Hub – delivering exceptional audio in a breakthrough design. The AudioHub combines a unique 2.1 one-piece speaker system and three integrated Hi-Speed USB ports in a compact design that fits neatly behind most notebooks. AT-DSP190 is Audio-Technica’s all new 2007 extraordinary digital powered speaker. It’s called “Columino” featuring a cone-shape body design. 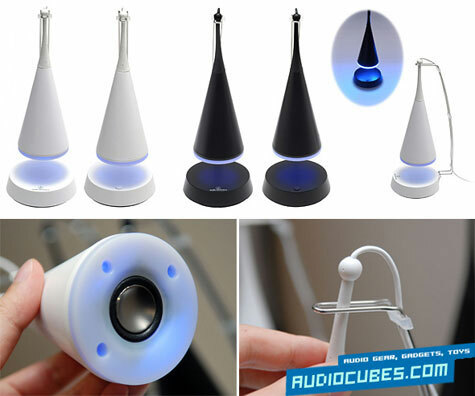 The speaker points downward into the base which spreads the sound around the room. The built-in blue LED lights add a stylish taste to the creation. AT-DSP190 adopts 30cm anti magnetic reflex type speakers plus digital amplifier with 1.7Wx2ch output for crystal clear sound. Available in black and white. Audio-Technica’s AT-DSP190 is sold in pairs. Play it Your Way! 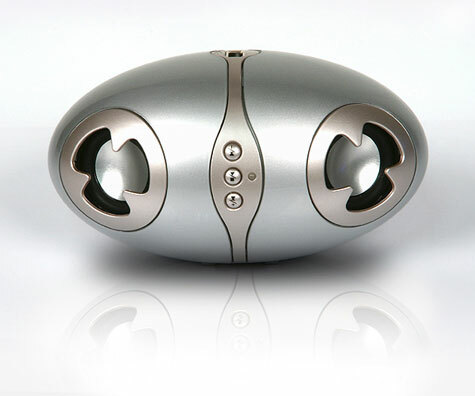 X-EGG offer compact, elegant, and three piece detachable design gives you freedom of enjoying music the way you want!